Jaguars and Leopards – living “marvels” of the Mother Nature, maybe beasts, but first of all "beauties"
Jaguars are one of the most beautiful and respected but also most mystified big cats in the world. 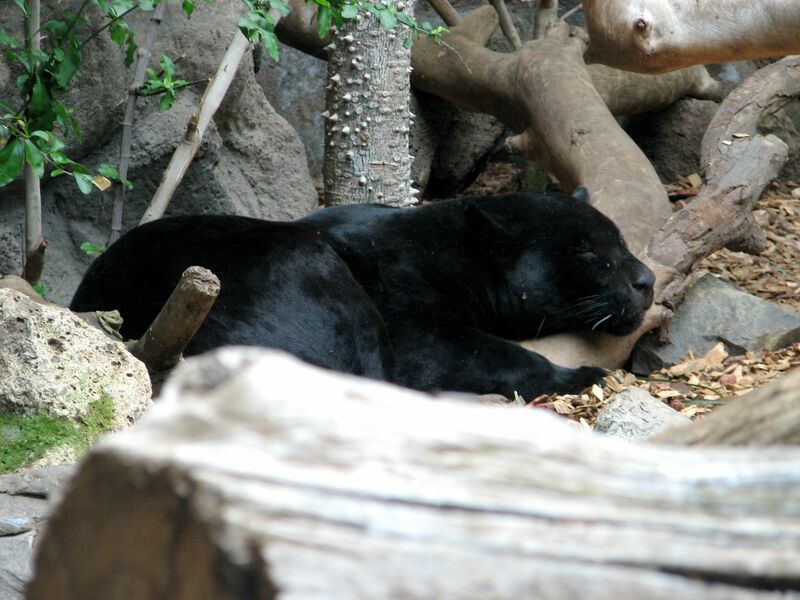 They are known as black panthers in Latin America, leopards in Asia and Africa and cougars in North America or as pumas what adds to the confusion and mystery surrounding these big cats. 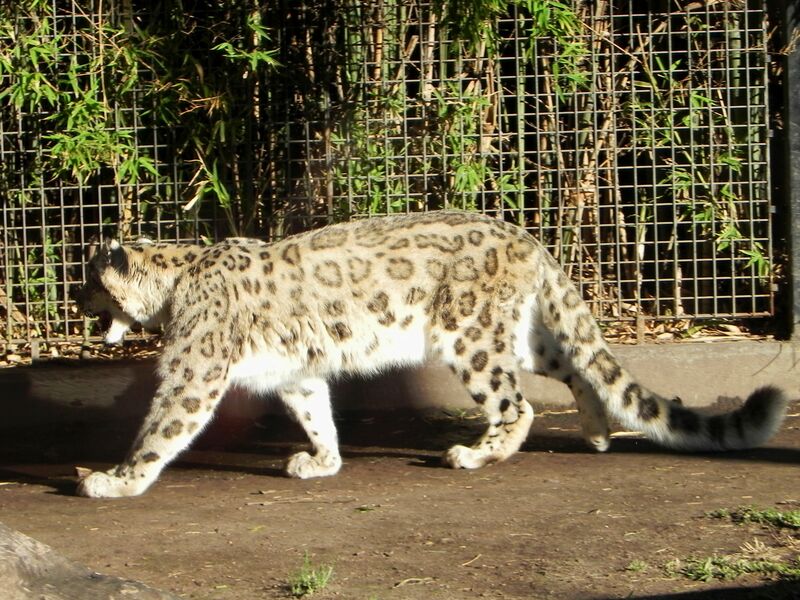 In general their coat may resemble that of other big cats with one exception – the black variant of the specie usually called Black Panther or Jaguar. 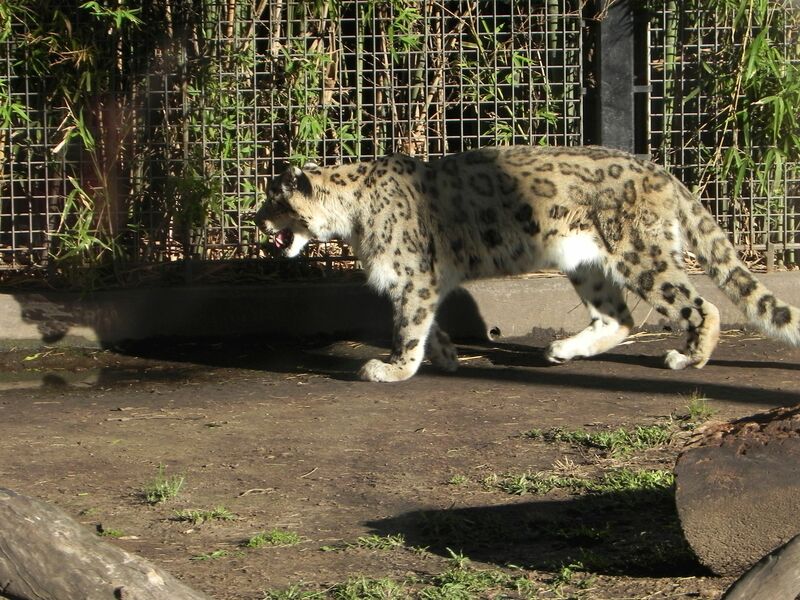 These stealth hunters thanks to their black color of coat are almost invisible in the nature. Thanks to the strong jaws and sharp teeth they usually kill the prey in one deadly bite. That stunning stealth power gained them not only an enormous respect among the populations of the pre-Columbian America, but also the godly -“venerated” position in their beliefs. Please note that here the "Beast" reflects rather the "play of words" influenced by the well known musical. I took the risk of using this expression because usually we reserve the name "Beast" for some cruel creatures and jaguar like other animals do not deserve this name. Yes, they are stealthy hunters but I never heard of animals killing for the pleasure of killing, or torturing for the purpose of inflicting the suffering and pain. So let's agree - here the word "beast" has a positive connotation! For example in Chichen Itza - one of the biggest Maya civilization centers in Yucatan (Mexico) one of the largest pyramids is called the Temple of Jaguar. You may climb inside of the pyramid several steps of narrow passage leading to the small dark room where the statue of Black Jaguar is still displayed – this time for visitors. 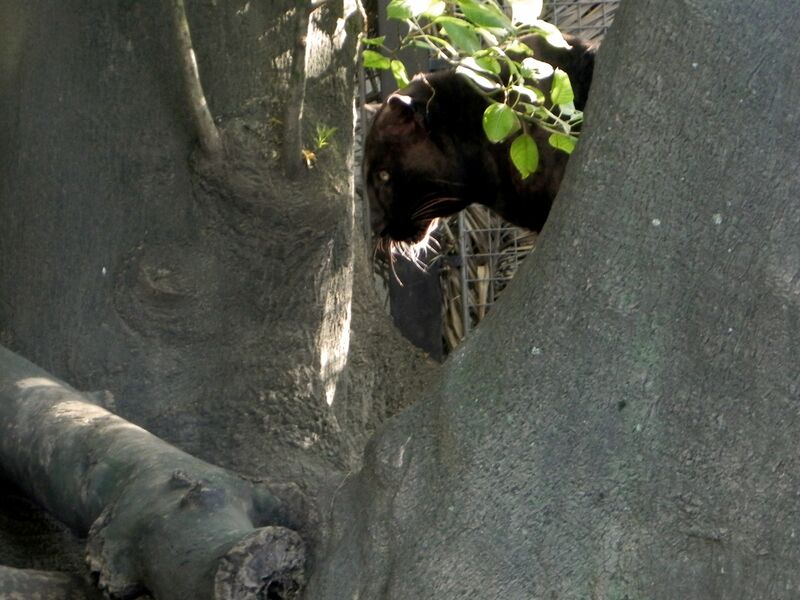 But not only has the color of coat made jaguars so different from other big cats, they have also different habits. 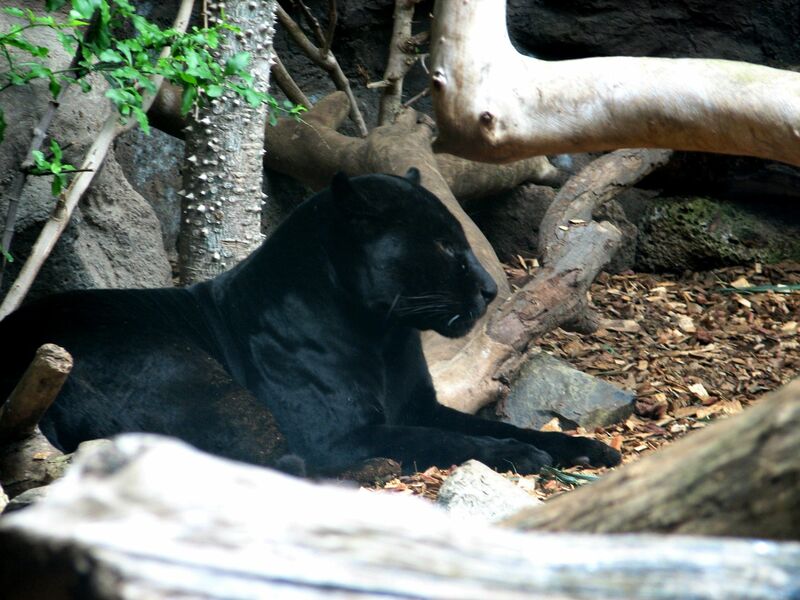 For example unlike their normally-colored cousins – lions and tigers, jaguars love the water. Swimming, bathing in streams seems to be their favorite “pass-time” habit not mentioning the fishing as the way to diversify the diet ( making it “Omega 3” rich). 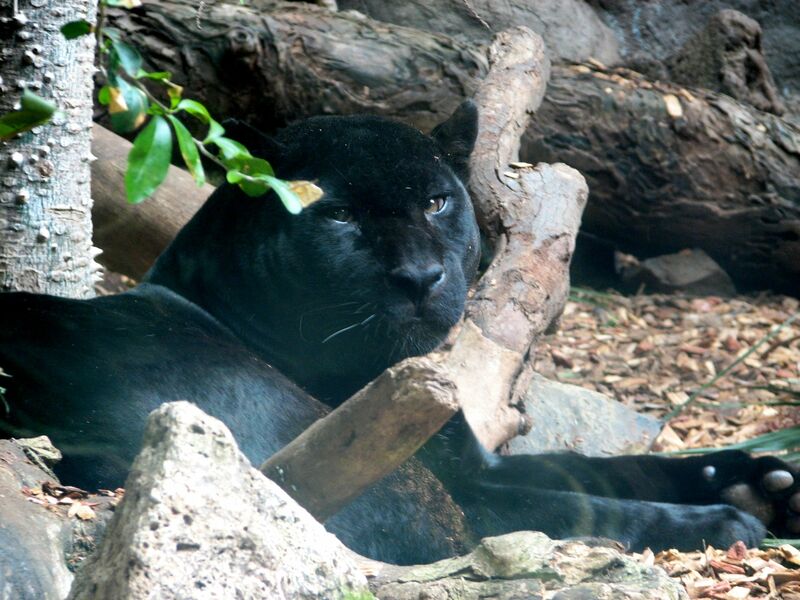 Black panthers (jaguars) inherited their colors from dominant pigments of melanin in their skin. This is an opposite effect to “albinism” when lack of dark pigmentation results in predominantly white color of the skin. 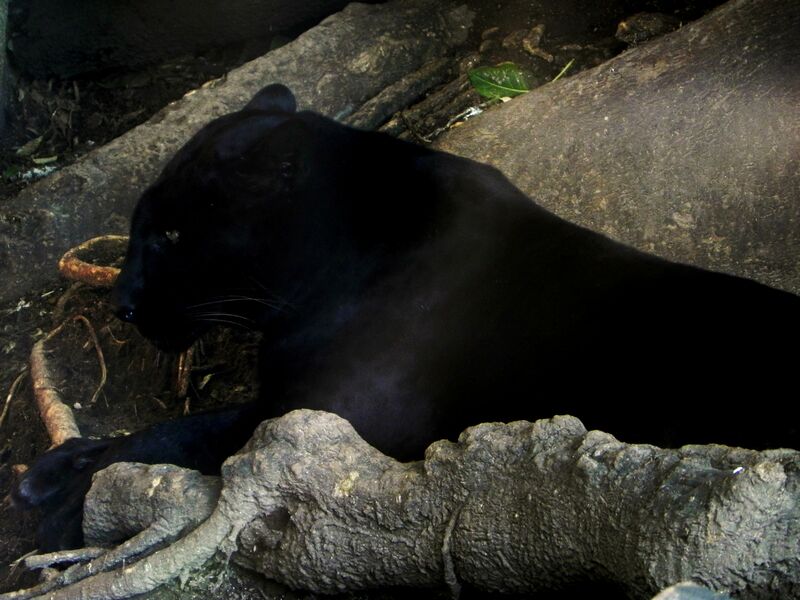 The truth is that thanks to their beauty as well as surrounding them obscurity and mystery, jaguars are very special animals that almost everybody would like to see. However what you do NOT want is to see them in an “eye to eye” encounter in the wilderness of the jungle as it will be your last moment of life. 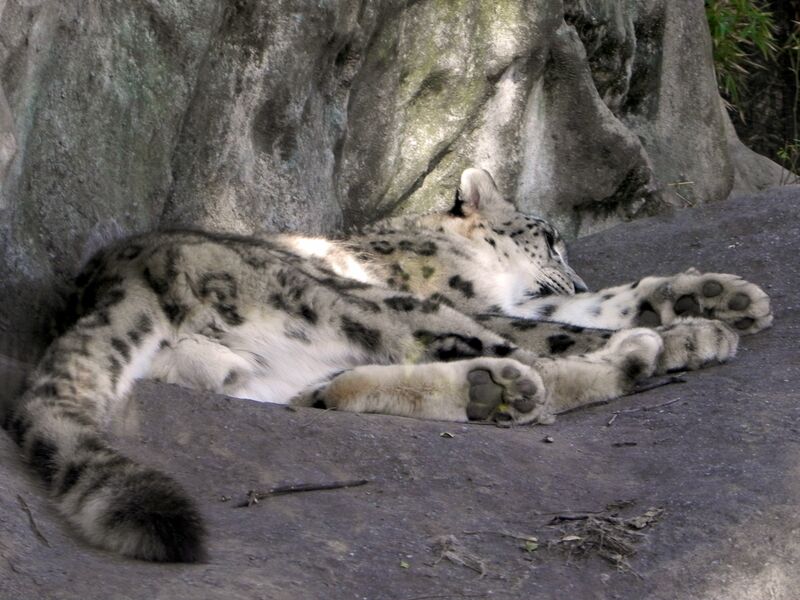 Snow Leopard in the Buenos Aires Zoo. 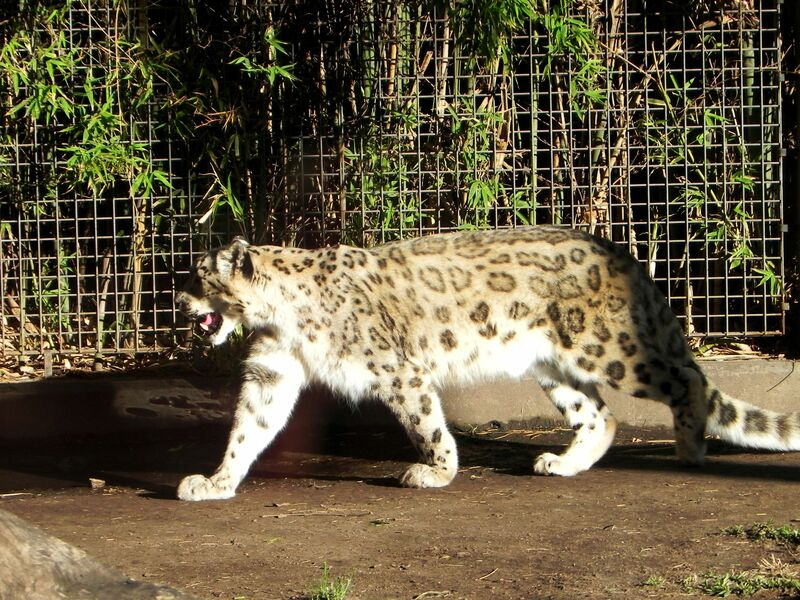 Two pictures on the right: Leopards - Zoo in Beunos Aires (2nd photo) and Zoo in Tenerife (3rd photo). 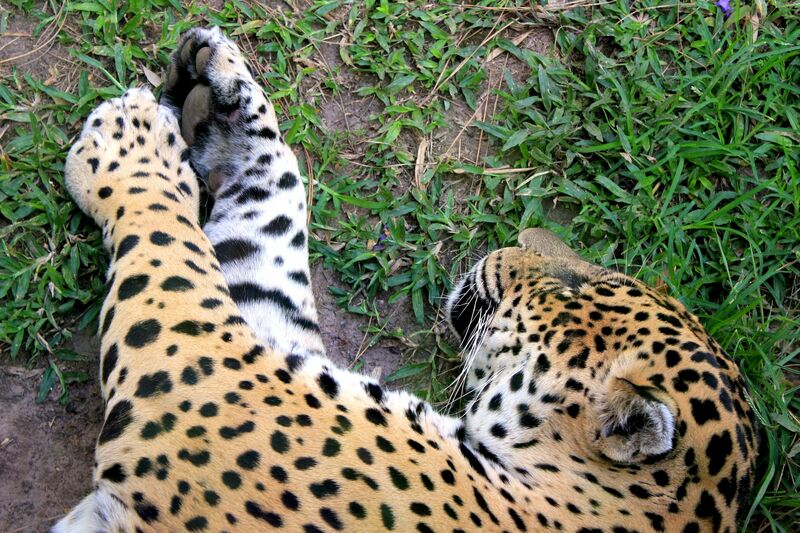 That is where the site is coming to offer you a memorable encounter with jaguars in a full safety of your home. Welcome to the wilderness – in front of you jaguars photos.